In collaboration with the Technology Volunteers and Marie Low, colleagues from WMG presented a workshop at the Mozilla Festival 2013 in London (25th - 27th of October 2013). The workshop 'Connecting With Our World' was based on the Technology Volunteers outreach activities at the University of Warwick and formed part of the festival stream “Making the Web Physical”. Workshop participants built a range of simple sensors and interfaces, developing programs to respond to events in the physical environment. Creativity and fun were key elements of the session, and towards the end of the workshop, there were demonstrations of the creations. 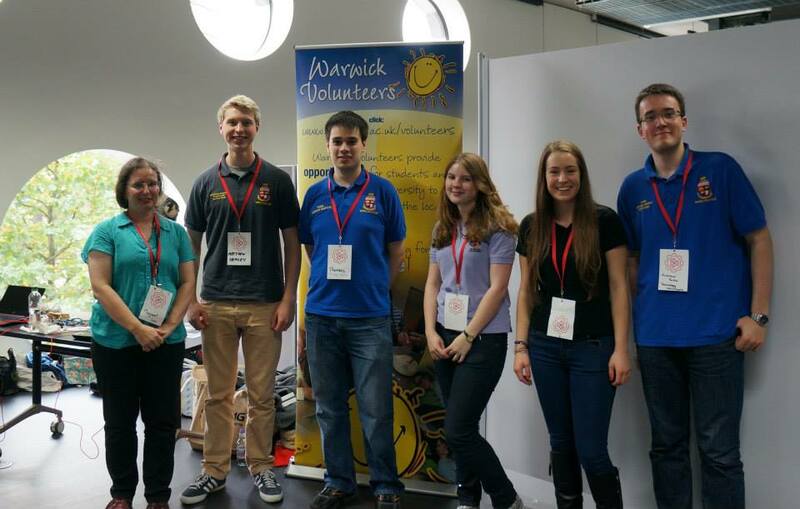 The aim of the Technology Volunteers outreach activities is to give young people a deeper understanding of the role of hardware and software, while having fun designing and making things. The team made contact with similarly minded people over the course of the weekend, running workshops and attending sessions, and hope to have the opportunity to work with them in the future. Running the workshop at MozFest represented some challenges for our team. The festival sessions were run in a large shared space, the schedule was flexible and only published online just before the start of the festival. The emphasis is 'less yack more hack', and it is important that people have time to develop their work in the session. To support this focus, the team set up the workshop as a set of demonstrations and small group collaborations, ensuring people could join our session at any stage. The Mozilla Foundation (widely known for the Firefox web browser) works to support an open and community-driven web. The annual Mozilla Festival (MozFest) is an opportunity for like minded people to gather from around the world to meet and share ideas and skills. MozFest attracts an international audience, and at this years event 1400 people attended the 3 day event.